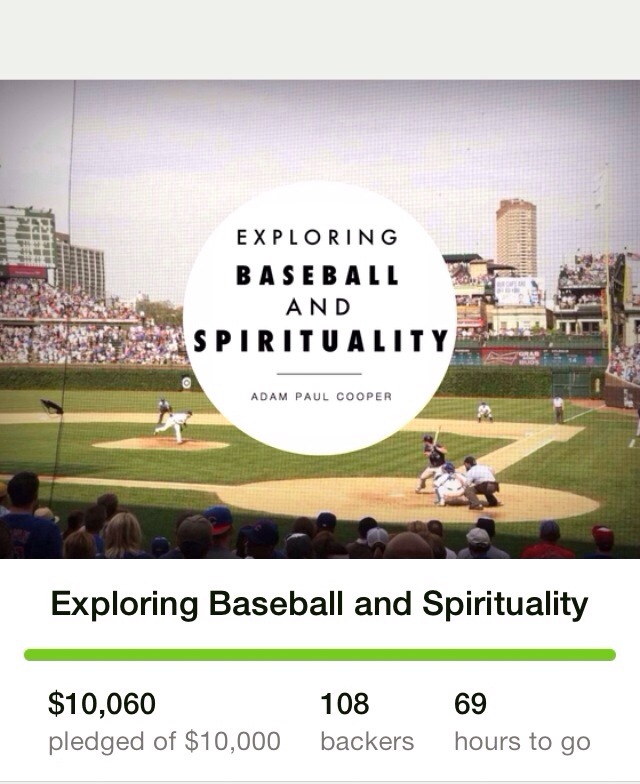 It’s official: thanks to the generosity of you all, I will be writing a book on baseball and spirituality this year! As of 10:45AM CST this morning, my Kickstarter campaign officially reached it’s goal, and my project is now officially underway! Thank you so much to all who helped make this happen. Whether you pledged to it, posted about it, retweeted it, told a friend about it or just gave me a high five, I am grateful for you and your role in this project. If you want to pre-order and help support the experience more fully, there is still time. The campaign will be active through Saturday evening at 7PM CST. Thanks again everyone. What an honor to have the support of all of you. I can’t wait to share the final product of this amazing adventure with you! Previous Previous post: Fenway, Wrigley…then where?